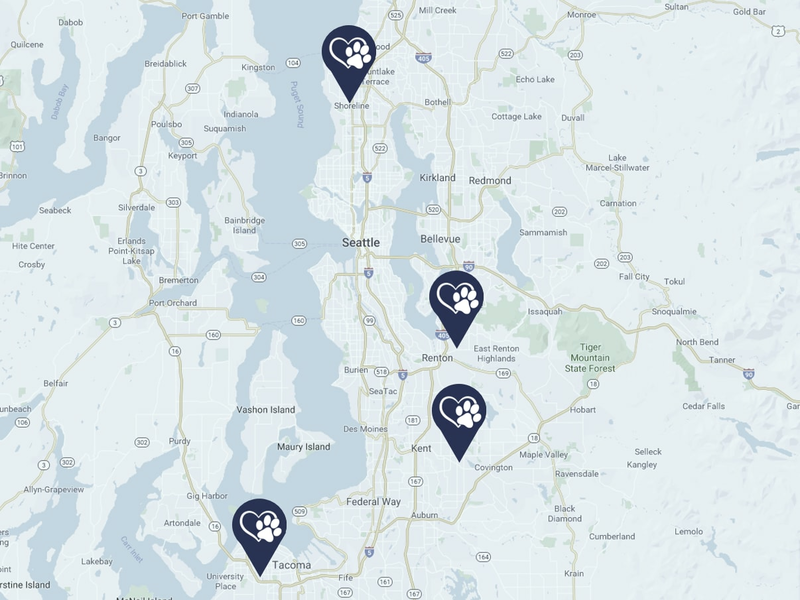 Value Pet Clinic is a group of veterinary clinics operating in the Seattle area. From our expert doctors, to our flexible walk-in model, we really are a different kind of pet clinic. Each location is proudly staffed with some of the most knowledgeable veterinary professionals in the area. The wellness of your pet is our priority, and providing them with state-of-the-art, personalized care is our No. 1 goal. Your best friend deserves to be treated with dignity and respect, and you should receive the same. Our staff is dedicated to educating you with the industry’s most up-to-date information, so you can continue to confidently care for your companion for years to come. Even when unexpected circumstances occur, our flexible, walk-in model makes it simple to get your pet quick and quality care. At Value Pet Clinic, you can relax knowing that our doctors are passionate and committed to helping your pet live a longer, happier, and healthier life.